After several trips on the road to the United States I have learned how to manage the housing part in a simple, fast and above all economic way. Initially I tried to trace the routes and to book in advance for hotels along the way. Already in the middle of the first trip, however, I understood how to be more agile without the constraint of bookings and especially with the pleasure to save! The only hotel that I may book in advance, in case of late flight arrival, is the one for the first night. This just to be sure not to have to drive for several miles after 10-12 hours by plane. And then what do I usually do? Once I rent the car, I take the highway and stop at the first rest area that I find along the way. As I have already said, there are many rest area along the American highway and are above all they are very clean and well maintained. Within some rest area, above toilets and vending machines with drinks and snacks, you also find an office with information leaflets on the state in which you are. Among these brochures there are also hotels coupon booklets. In the US, coupons are very popular, for everything. Famous are TV shows that show us how Americans are struggling with how much you can save by using coupons for grocery shopping. Well, the coupon for the hotel are not very different. 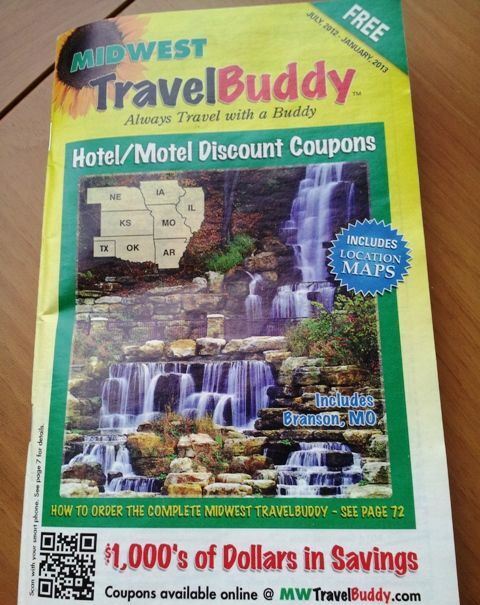 In these free booklets are listed all the highway exits in a given state and next to each one you can find the hotels participating in any promotion. Often promotions are at fixed prices, other times there is a discount on the standard room rate. Obviously discounts only apply if the hotel has availability, but I can assure you that during my travels in the US I can count on one hand the times that I found a hotel that did not accept the coupons. 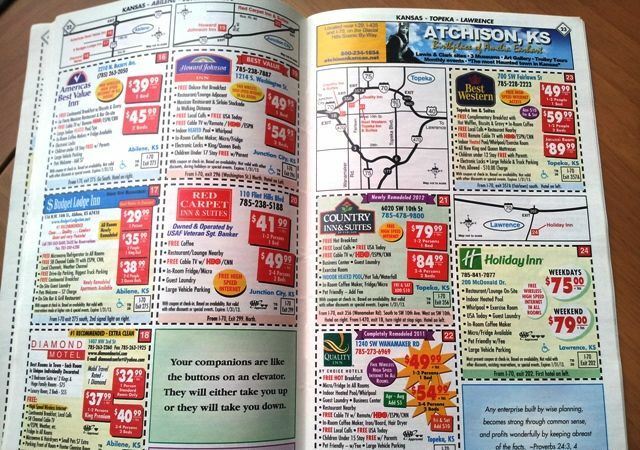 All the most famous hotel chains have coupons in booklets: Marriott, Holiday Inn, Choice Hotels, to name a few. And the prices, for the room, are really good, and 99% of time include a hot breakfast. For hot breakfast hotels mean scrambled eggs, bacon and sausage, waffle cakes, and of course orange juice, muffins, butter and jam, bread, milk and cereal, yogurt and coffee. Here then is our suggestion: every time you enter a new state, stop at the first rest area, take some coupon booklets and when you are tired just identify the hotel that best suits you and go for it! At the same exit there are usually between 5 and 10 types of hotels; do not give up if the first should not be to your taste, go on to the next. When we stayed in Miami we used one of them. Si Roberta e sono davvero molto vantaggiosi!